Headphonaught's Nanolog: Some interesting stuff on 'tinterweb! Thought this video was lovely... Tranquil Music :: A day in the life of legendary New York City deejay Coleman. Nice! Pixelmator is an image editing tool for the rest of us. Its a MacOSX app... and looks pretty special. Interested... although I hope to get the Adobe Creative Suite soon. 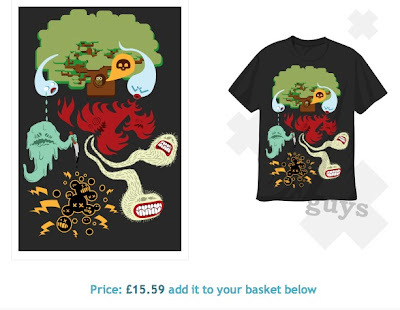 bountee is like Threadless but duffers like me can upload graphics and get them to make a shirt... and then they put the tees on sale for others to buy (you get commission). Hmm... dream come true?? ?